In the world of interstate moving (moving state to state), an item worth more than $100 per pound is considered to have extraordinary value, and be a “high value item”. Common items that might have extraordinary value include crystal, china, antiques, paintings, sterling silver, figurines, precious metals, semi-precious stones or gems, oriental rugs, furs, rare collectible items, computer software programs, rare documents, etc. Items that we rarely think about as having high value could also be shoes, purses, suits, dresses, gowns or other types of formal wear. Actually, the list could be endless! That Coach purse you paid $500 for would be considered a high value item. And those Gucci suits that you paid $1500 for would also be considered high value. If you purchase full value coverage from your mover, you must declare items that are worth more than $100 per pound on the High Value Inventory Form prior to packing and/or loading day. In the absence of a completed High Value Inventory Form, the mover’s liability is limited to $100 per pound per article. The High Value Inventory Form is a listing of those items you believe are valued in excess of $100 per pound. However, in the event of a claim, you would still be required to document any amounts claimed, as this form does not serve as proof of the value of an item. Do you have a Barbie collection? A Hummel collection? Lladros? Precious Moments? Star Wars? Or a collection of antiques that have been in your family for years? You can simply group these collections together on the High Value Inventory Form and list them as 20 Hummels, 75 Barbies, etc. The High Value Inventory Form is essential in identifying high value items so that they can be properly accounted for at origin, and noted at delivery as received in good condition. Remember, if you have items in your shipment valued at $100 per pound or more, you will not be adequately covered in the event of a claim if you do not complete the High Value Inventory Form! 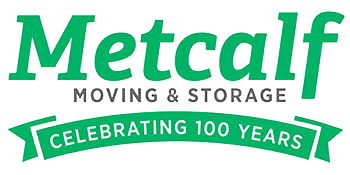 Metcalf Moving and Storage can meet all your moving and storage needs in the Minneapolis / St.Paul, MN and Rochester, MN areas. Whether you are moving across town or across the country we are your affordable moving solution.